Floral brocade fabric and a knotted overlay bring eye-catching detail and dimension to this night-making dress from C/MEO COLLECTIVE. Sized: XS-XL, one length available. Regular measures 46" from bust to hemline; 14" Slit. 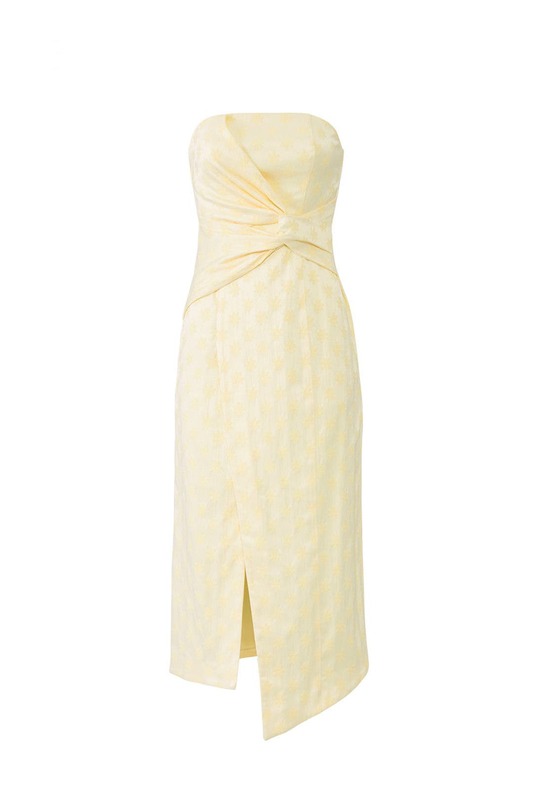 Yellow crepe (71% Polyester, 27% Cotton). Sheath. Strapless. Straight neckline. Hidden back zipper closure. Fully lined. 46" from bust to hemline; 14" Slit. Imported. Obsessed with this!! I wore it for a few coffee appointments and for some cute pics! I love this dress by C/MEO Collective! Running true to size with a little stretch, I recommend wearing your true size for your primary size and going up for your back up. 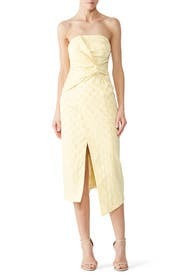 This style is fitted throughout the midsection and room in the hips. It works for A-C cup sizes. 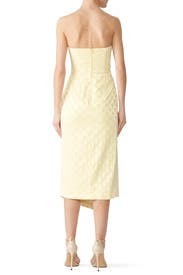 You are not able to wear a standard bra with this dress so you should wear nubra or no bra since this dress is strapless. At 5’3”, the length hit tea length on me. The dress is amazing in person! 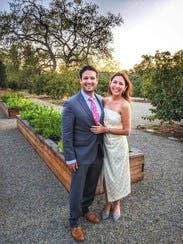 It was the perfect dress for a wedding in Ojai (Southern California). Fit great, with the exception of the top part being a little loose. I had to wear a bustier underneath to make sure I didn't flash anybody when bending over. Otherwise very comfortable and great for dancing!